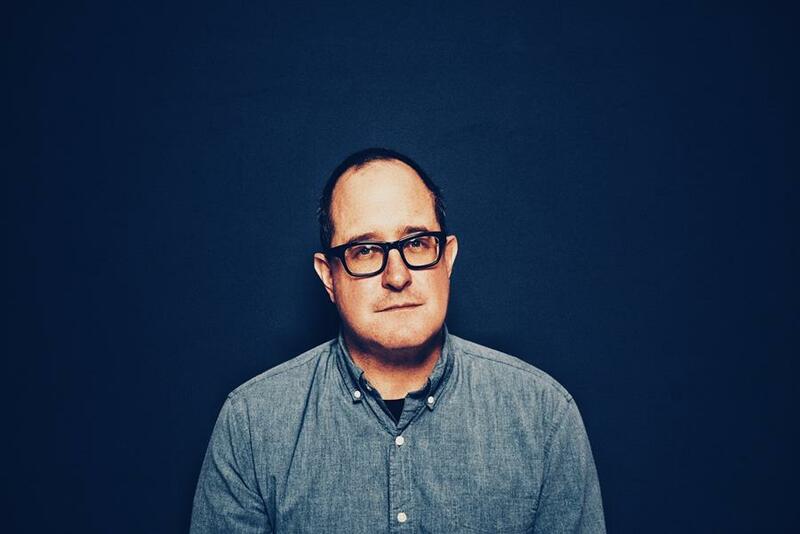 Partisan Records announces the release of Craig Finn’s eagerly awaited new album, ‘I Need A New War’ arriving Friday, April 26. ‘I Need A New War’, Finn’s fourth solo LP, was recorded throughout 2018 at The Isokon in Woodstock, NY with producer Josh Kaufman and engineer D. James Goodwin, both of whom teamed with Finn on his widely acclaimed previous solo releases. In addition, the album features musical contributions from many of his regular solo collaborators, including Kaufman, horn master Stuart Bogie (Antibalas), pianist Sam Kassirer,vocalists Annie Nero and Cassandra Jenkins, and drummer extraordinaire Joe Russo. The first song from the new record premiered on NPR today and is available now on all DSPs. “Blankets is a song about someone who has never gotten over a past love, and goes searching for her. But time is running out,” says Finn. Listen to Blankets here. Beginning today, fans can pre-order I Need A New War in physical and digital formats here. All orders through Finn's D2C store include a bonus digital EP featuring five b-sides from the album. Other items exclusive to the store include: a one of a kind, signed hardcover lyric book (featuring lyrics to all songs from FITF, WAWTST, INANW and photos by Dan Monick), signed vinyl, an enamel pin set, and more. Finn’s remarkable third solo album, We All Want The Same Things, proved one of the most acclaimed releases of 2017 with inclusion on a wide range of high-profile year-end lists. ‘God In Chicago’, the extraordinary centerpiece track that gives the album its name, was ranked #1 by American Songwriter on its “Top 25 Songs of 2017,” noting, “We expect strong characters and compelling stories from Craig Finn, whether he’s recording solo or with The Hold Steady. We even expect beautiful details and excellent location scouting. But we didn’t expect a song as powerful, as specific, as lived in, as beautiful, as insightful, as risky as ‘God in Chicago’.” The Guardian, In a four-starred rave, hailed We All Want The Same Things as “a deeply personal work from a master storyteller,” while Paste simply declared the LP “[Finn’s] most self-assured album...The subtler sense of musical adventurism he has come to embrace on his own work, make these songs essential.” Finn celebrated ‘We All Want The Same Things’ by touring extensively throughout 2017. Highlights included an acclaimed headlining trek backed by his live band, The Uptown Controllers, as well as solo living room tours of the U.S. and the U.K.
Finn will support I Need A New War with a North American and European live schedule. He tours the UK in support of Brian Fallon on the dates here. Following the worldwide release of their third full-length album 'Dadcore' on Jan 25th via Burger Records, Mozes and the Firstborn will bring their potent mix of grunge and powerpop to the UK for an exclusive show at Shacklewell Arms, London on March the 12th. Full dates for their newly announced EU tour can be found below, Mozes and The Firstborn’s European Tour kicks off after their US dates with "Madrid's finest" The Parrots in February 2019. California's Burger Records were the first to jump onto the addictive, raw energy of Mozes and the Firstborn, releasing their debut album in 2014. Since then the band have had praise from the likes of Pitchfork, NPR Music, Noisey, released various singles on Universal B.V. and played countless SXSW shows, winning fans across the world. Listen to latest singles 'Hello' and 'If I'. "Dadcore is a love letter to rock music. It's an ode to being in a band. After eight years we still sometimes play shows where only twelve people show up, there's no backstage and the fee is a case of beer and a place to crash. Nonetheless, there's four people up on that stage rocking out as hard as they can. That's Dadcore to me." On Feb 1st Deer Tick will release a new compilation album entitled ‘Mayonnaise’ – a 13-song companion piece to last year's full-length albums 'Deer Tick Vol. 1' and 'Deer Tick Vol. 2.' Listen to two tracks from ‘Mayonnaise’ now - a cover of George Harrison’s ‘Run Of The Mill’ as well as brand new track ‘Hey! Yeah!’, which is accompanied by a Scorpion Dagger animated visualizer. Check out ‘Hey! Yeah!’ here. Listen to ‘Run Of The Mill’ here. 'Deer Tick Vol. 1' and 'Deer Tick Vol. 2' were the band’s first new material since 2013’s ‘Negativity’ and were recorded at the legendary Ardent Studios in Memphis, TN. The albums earned raves everywhere from Vice Noisey, Consequence of Sound, Mojo, Uncut, Uproxx, as well as a performance on CBS This Morning. The band will be on tour in the UK / Ireland this November, with more dates to be announced soon. Check out new track ‘Hey! Yeah!’ here. 'Deer Tick Vol. 1' and 'Deer Tick Vol. 2' were the band’s first new material since 2013’s ‘Negativity’ and were recorded at the legendary Ardent Studios in Memphis, TN. The albums earned raves everywhere from Vice Noisey, Consequence of Sound, Mojo, Uncut, Uproxx, as well as a performance on CBS This Morning. The band will be on tour in the UK / Ireland this November. More dates to be announced soon.